The Summer Olympics are the largest sporting event, with 205 participating nations and billions of television viewers around the world. From the 1996 Games in Atlanta to the 2008 Games in Beijing, the Olympic TV audience grew from 3.2 to 4.7 billion viewers. Regardless of politics or cultural controversies surrounding the Games, one thing remains clear: people want to watch. But, the growing trend of public viewing parties has transformed how people experience these events, moving televisions from living rooms or local bars, into city plazas and stadiums. This year, Rio de Janeiro (Brazil), Suva (Fiji), Kingston (Jamaica) and Kakuma (Kenya) transformed their public spaces with Olympic broadcasts, bringing citizens together and creating open access to the Games. 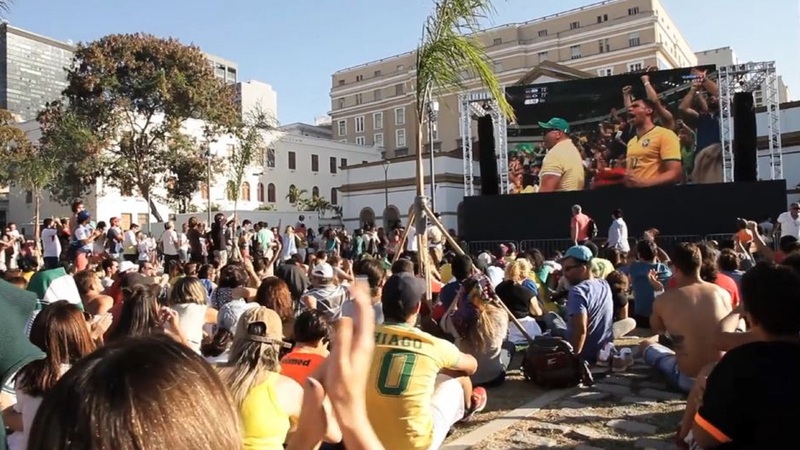 Rio de Janeiro, host of the 2016 Olympics, created the largest live viewing party in the history of the Games, allowing everyone to partake in the electric atmosphere. 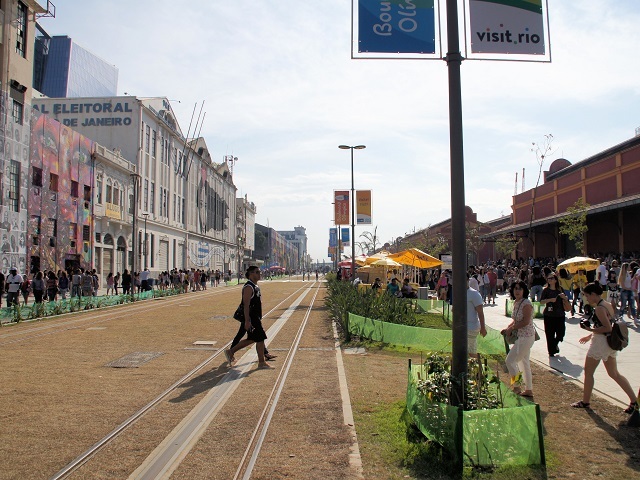 The Olympic Boulevard, located on the newly renovated Porto Maravilha, was decorated with large broadcast screens, food trucks and the Amanhã (Tomorrow) stage. Over the course of the Olympics, the Boulevard became a main attraction for thousands of daily visitors to enjoy live music and art performances. For Rio, hosting the Games was about more than sports, as the city sponsored an entire culture program, Celebra, to showcase Brazil’s cultural diversity. “The idea is to integrate the city with the Games,” stated city governmental officials. 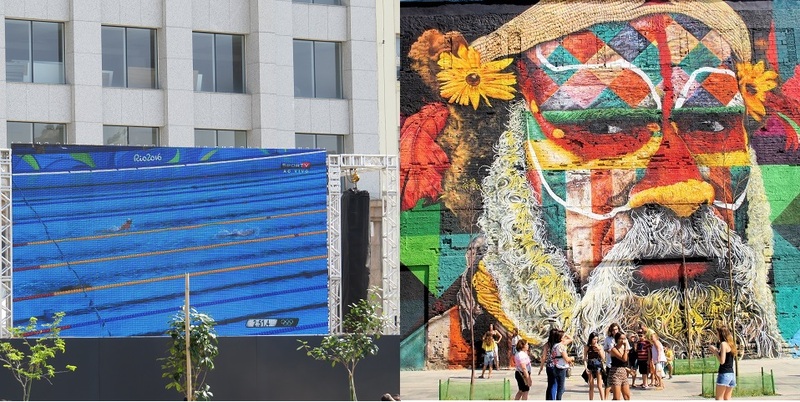 Using the Games and their virtual broadcasting to highlight Brazilian culture and identity, the city created a memorable and inclusive Olympic celebration. ‘Go Fiji Go’ HD (Rio Olympics Rugby Song 2016) from Shabir Nabi on Vimeo. On August 12, more than 4,000 spectators gathered in the National Stadium of Fiji’s capital city to watch their rugby team defeat Britain for the nation’s first Olympic medal. By halftime, fans were already singing and dancing, united by their national sport. People from all over Fiji traveled to the capital city, Suva, to watch the match. The Fiji Village reported that 51-year-old Peni Matai traveled eight hours by minibus from the village of Serua, where there is no access to television. All over the island, banks and shops closed for a few hours to watch the match. Rio 2016 – Jamaicans celebrate record-breaking runner Usain Bolt from Stephen Greaves on Vimeo. Usain Bolt’s 100m sprint may have taken only 9.81 seconds, but the celebrations he ignited in Kingston, 3,600 miles away, continued well into the night. Fans lined the streets of the capital city to watch Bolt make history on giant live screens. Not even heavy summer rain was enough to deter the fans, as they brought traffic to a standstill amidst the wave of cheers, banging pots and booming stereos. For those who could not join the street party, anywhere else would do. Shoppers in a MegaMart in Kingston crowded around the TV section as the race began. Just as the streets of Kingston were erupting, so were the isles of the MegaMart. In Jamaica, home to the fastest man in the world, a ten second race is more than enough to celebrate. Refugee Children Intently Watch the Games in Kakuma Refugee Camp, Kenya. Footage courtesy of Amnesty International. 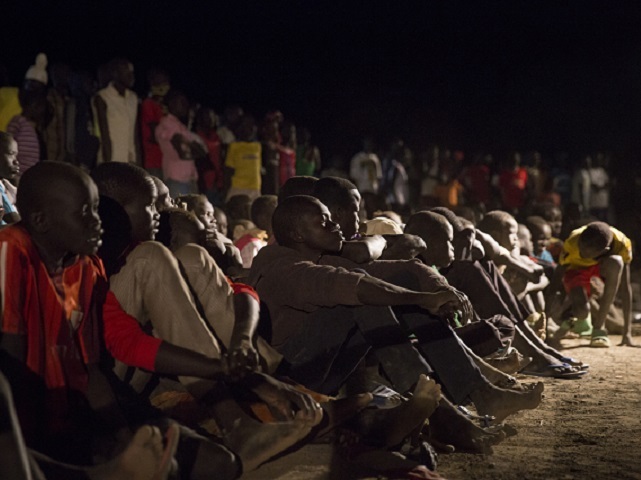 The world’s largest refugee camp in Kakuma, Kenya is home to over 150,000 people. This summer, the International Olympic Committee (IOC) partnered with the humanitarian organization FilmAid to broadcast the Olympic Games inside the camp. For many refugees, this was their first time watching the Games and was a chance to connect with the world outside of the camp. Additionally, this year marked the first time the Olympics had a Refugee Olympic Team, and five of the athletes were from Kakuma. So, for Kakuma, viewing the 2016 Olympics was incredibly special. Throughout the duration of the tournament, everyone in the camp was glued to the screen, cheering for the athletes they watched train for months before. Olympic viewing parties enable the Games to transcend stadium walls, bringing people together in city centers and public spaces and providing an opportunity for citizens to engage with their communities. All they need is a big enough screen. Refugees in Kakuma watch Team Refugees compete at Rio Olympics- Footage Courtesy of Amnesty International from malcolm on Vimeo.